If safety and living happily and peacefully is your top priority when you’re looking for a new place to live, then read on. We’ve compiled the safest suburbs in Brisbane to live in, providing you and your family with the protection and happiness you seek. With violence and crime continuing to rise, it’s getting harder to find a safe suburb to live in. Plus, there’s no place that’s totally safe. However, with a little bit of research, you can find suburbs in Brisbane with low crime rates and where you can walk around at night and feel safe. Living someplace where the people are friendly and it’s peaceful and quiet is possible if you know where to look. Some resources exist that can help you find out where the safest suburbs are in Brisbane. You can check out the latest research by RACQ, get the most recent crime rates from the Queensland Police Service, or take a look at the new figures released by CoreLogic RP Data. If you’re considering moving to Brisbane, or simply want to relocate to a place that’s safer, we’ve put together the safest and the most unsafe suburbs in the area. What are the safest Brisbane suburbs to live in? The lowest crime rates reported by the Queensland Police Service are in Chuwar, Hillcrest, Brookfield, Karawatha, Kenmore Hills and Upper Kedron. These suburbs had the least number of recorded criminal incidents for assault, robbery, unlawful dwelling entry with intent and damage to property, from 17 April 2015 to 17 July 2015. All of these suburbs, except one, are located on the South side of the city, and most of them are in Brisbane West. 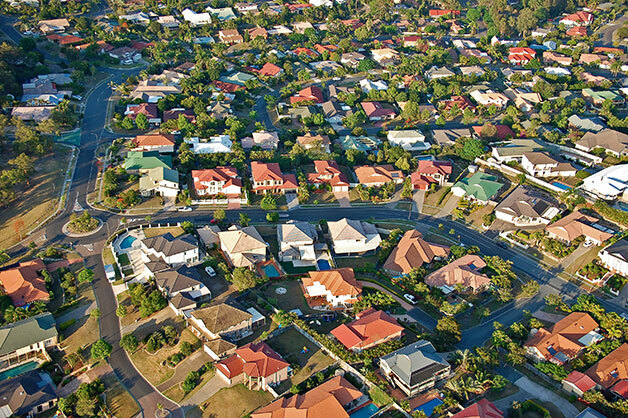 Suburbs that are liveable and affordable can also be considered safe, and the data released by CoreLogic, for the 12 months to September 2015, revealed the most affordable suburbs in Greater Brisbane (which is determined by low median house/unit prices). The suburbs with the most affordable houses are Forest Lake, North Lakes, Redland Bay, Cleveland and Thornlands. The suburbs with the most affordable units include Nundah, Morningside, St Lucia, Kangaroo Point and Teneriffe. The median values in these suburbs range from $400,000 to $555,000. Overall, a safe suburb has what people are looking for and everything is right at your fingertips. Most people commit crimes such as robbery, breaking and entering property or stealing from property because they’re looking for something they want or need and they don’t have easy access to it. So a suburb that can cater for the needs and wants of its residents is a safe one. What are the most unsafe suburbs to live in? According to the latest research by RACQ, the worst suburbs for home theft in Brisbane are MacGregor, Robertson, Sunnybank, Sunnybank Hills, Eight Mile Plains, Runcorn, Doolandella, Durack, Inala, Richlands, Calamvale, Drewvale and Stretton. The research found that break-ins were most often opportunistic, with home intrusions the main method used by thieves to enter homes, said RACQ Executive Manager Insurance Communications Mike Sopinski. It also found that the most common methods of theft from homes were doors and windows forced open and entry via open or unlocked doors. The data from the Queensland Police Service revealed that Brisbane CBD and Fortitude Valley had the highest reported number of crimes, including assault, robbery, unlawful dwelling entry with intent and damage to property. These suburbs have a large population and are known for being dangerous because of their nightlife and abundance of shops. South Brisbane, Chermside and Inala had high crime rates as well, and are also filled with many people, shops and public transport. The top 10 home break-in hotspots identified by the Queensland Police Service are in Logan Central, Acacia Ridge, Annerley, Booval, Upper Mount Gravatt, Dutton Park, Crestmead, Beenleigh, Inala and Ipswich. In 2015, the average monthly crime rate per 100,000 people was 55 to 75. It’s not just about where your home is located – it’s about how you protect it. And you can make your home safer by installing security screen doors and windows around your home. So, get in touch with CommandeX today and we’ll help you protect your property and loved ones.